In a small mining town in northern Sweden, a group of artists and cultural workers is spending the summer in an abandoned high school, which they are using as their studio. The residency is part of Tomma Rum (Empty Spaces), a project that aims to map abandoned but still usable spaces and transform them into art hubs. A Stockholm art student came up with the idea in 2003, frustrated by the lack of studio space in her home town. The premise for Tomma Rum was that many municipalities have unused spaces, especially during the summer, and that art should be able to thrive outside the bigger cities. Together with some like-minded partners, she sent out a request to all municipalities in Sweden asking if they wanted to lend out their property as a studio and residence. Tomma Rum has been in nine small towns across the country, using everything from old switchboard stations to furniture stores as studio and living space. The group has organized exhibitions, performances, film shoots, and public talks. They also have a blog. Tomma Rum is open to anyone interested in exploring art. Participants have come from a number of countries, including Albania, Italy, Denmark, and Japan. This summer 80 participants will live and work in Malmberget, a town with 8000 permanent residents. Polis reached graphic designer Moa Schulman on the phone for an interview. How does Malmberget's historic dependence on mining influence the city? There is an odd feeling here, since everyone know they have to move sooner or later. New sources of ore were discovered recently and many people are bitter, as they lately moved and were promised there was no ore below this current site. In the middle of the town is now a fence that is constantly coming closer. It is a very ghost-like divider in the middle of the town. 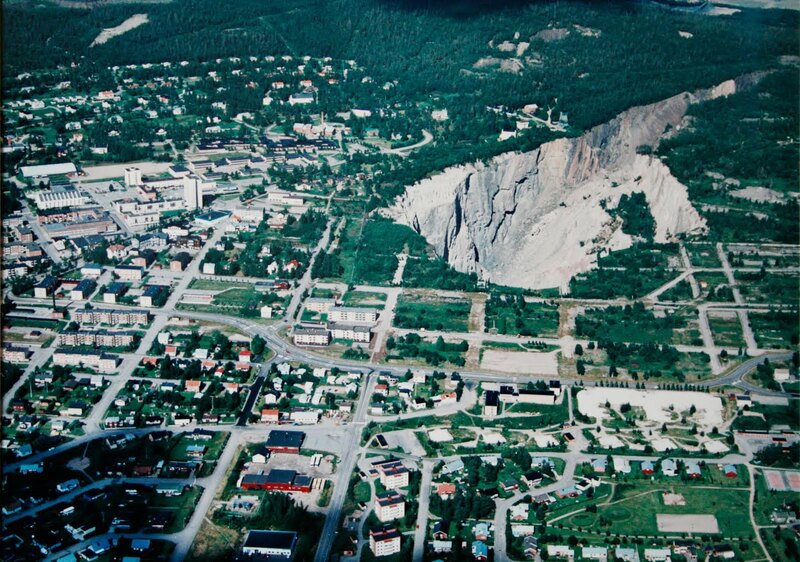 On one side there are old buildings on grounds in danger of collapse; on the other side there is a temporary place to reside, as the expansion of the mine continually moves the town down towards the valley as the grounds are getting unstable. We received a building that was recently evacuated. The town is idyllic, but many streets and buildings are in decay. 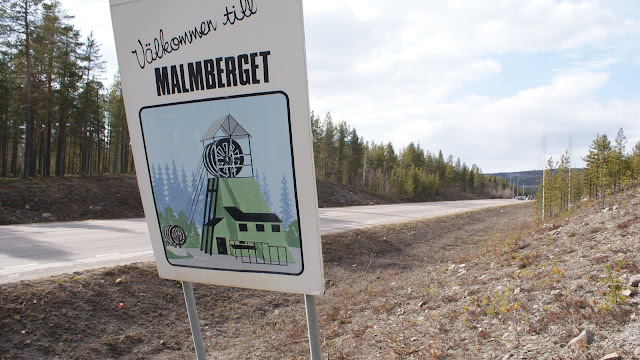 Malmberget has the mining city paradox: Either you stop digging and the town dies for lack of jobs, or you continue digging, which means the city becomes further dependent and and needs to move. As part of Tomma Rum, the participants meet with the municipality and the state owned mining company LKAB to help nourish the arts through new experiences. 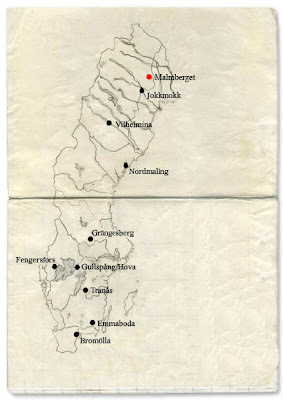 How has Malmberget inspired you? Most of us relate to the history of the site and the building we work in. I believe it is healthy to move away from the fixation with large cities; art should not be insular. One textile artist here has made embroiders on the fence with the proverb "Home Sweet Home". Another participant is creating large pyramids of ore pellets. There is a group making a stop-motion film of the glittering piles of ore that lie around the streets. How does Tomma Rum benefit the city? In hosting Tomma Rum, the municipality gains artistic activity over the summer. I believe they think it gives the town life and vitality, a kind of creative force. It may even lead to more permanent residents. I guess it is a little like asking what art can give society. We believe in art, and that it needs to be put in motion, in encounters through art. Our studio is open every day and we invite local citizens to participate. The group I am in is painting a local schoolyard in big colorful patterns. Another group is painting a mural on the school wall. 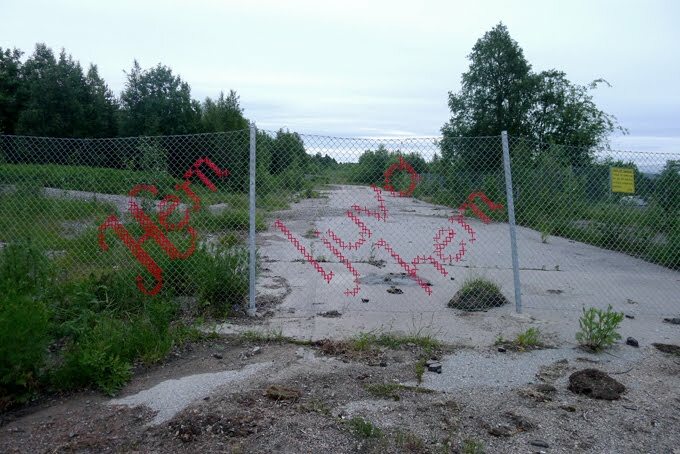 This was made possible through a request from school kids and collaboration with the municipality and LKAB. Credits: Images from Tomma Rum. I like the idea of setting up in places far from magnates for global capital. It's quixotic and perhaps overestimates the long-term benefits for communities in precarious economic conditions, but if artists can find a way to survive independently it could be a hopeful alternative to reliance on wealth concentrated in megacities. Maybe there's something about the rise of big cities that makes great art more dependent on capital than in less-centralized social structures (like Southeast Asian indigenous tribes or Amish settlements). Maybe the move away from big cities will make the arts less rarefied. But there are also a lot of benefits for artists in big cities, with so many opportunities for inspiration, collaboration, and funding. I'm also interested in the moving fence that divides Malmberget's safe areas from those threatened with collapse from digging beneath the city. I assume the area under the Tomma Rum building hasn't been mined yet, but this underscores the artists' temporary presence there. It doesn't seem likely that they'll stay. Even if they want to, how would they support themselves when mining seems to be the only economic engine? Peter, thanks so much for your comment! Malmberget. It is a very rich town, albeit sensitive to conjunctures. future of the town, I think. It is of course to show goodwill. in some cultural differences, differences in conceptions of art. discourses the city conditions and a higher education create. is perhaps the greatest threat to the prospect of working as an artist. Thank you for the response, Moa! This is a fascinating situation. I'm impressed that you and other artists are taking part in these experience partnerships in places so often ignored by city dwellers. I will be following the Tomma Rum blog, and I hope the residencies will lead to exhibitions, publications, and other great outcomes.